If you love road trips then trekking more than 2,500 miles might sound like an exciting adventure. When you have to bring along everything you own, however, it can become more stressful than exciting. If you’re moving from NJ to Nevada then let Simonik Moving & Storage use our years of experience to make the relocation a smooth experience. 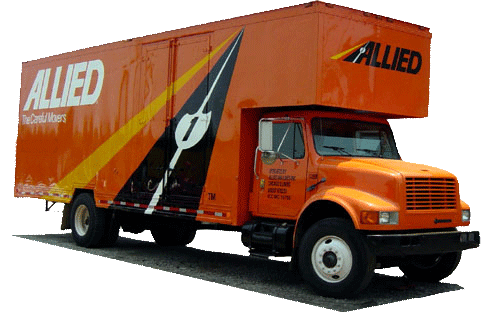 We have been providing top quality moving and storage services since 1977, and we’ve earned quite a few accolades along the way. We boast BBB Accreditation – and that is just one example of proof of our absolute commitment to quality. While we love being part of the BBB and are proud of the many awards we have won, what we love best are great customer reviews, and we do whatever it takes to make sure everyone who trusts us with their move is satisfied. You may need to store some of your items before or after the move. We can help with that, too! Your items will be carefully packed in moving containers and then stored at our secure facility. We offer both short-term and long-term storage, so you can leave your items with us for as long as you need. Once you're ready for them, they will be shipped to your new address. The process is easy and convenient, so your storage needs will be one less thing you’ll have to worry about as you plan your New Jersey to Nevada move. We are the New Jersey moving experts. We have moved thousands of households in North and Central New Jersey including several counties such as Hunterdon, Mercer, Middlesex, Monmouth, Morris and Somerset. Our ProMover status with the American Moving & Storage Association helps us to stay on top of the latest requirements from long distance moving. Awards, such as the Mover of the Year Award from the New Jersey Warehousemen & Movers Association, show that we take our commitment to quality very seriously, and it shows we are the best choice from your NJ to Nevada move. NJ to NV moving doesn’t have to be stressful. Fill out our online contact form today to learn more about our moving services and to get your free, no-obligation quote.